This is an excellent, well run and sociable tournament in which Scottish Thistles have been regular participants, never finishing lower than fourth in the last six years, though in 2018 we sent two teams and only one finished in the top four. As with all Scottish Thistles events, everyone is guaranteed a fair share of pitch time. Accommodation will once more be organised by LUC Ronchin Hockey Club in the Hotel Mercure Lille Aéroport at €89 per night for a double or twin room, including breakfast; single room €79 and triple room €109. There is a taxe de séjour of €2.48 per person per night in addition. The tournament fee is €290 per team plus lunches on the Saturday and Sunday (€16 each day). On Saturday evening there will be a buffet meal in the Mercure (about €30 per person including soft drinks) - this is optional but you are encouraged to attend. There will be a visit to the Palais Beaux-Arts in Lille for non participants on the Saturday afternoon. Taxis to and from the ground (if there are not enough cars) are an additional expense. You should also budget for a taxi to and from the station if you are travelling by train, though you can take public transport at a much lower cost. We normally present a bottle of club whisky to each opposing team and to the organisers. Matches begin at 13:00 on Friday 15 March and finish at 15:30 on Sunday 17 March. The first match on Saturday and Sunday will begin at 09:30. You can fly to Paris Charles de Gaulle airport and take the TGV to Lille - Easyjet and Flybe have flights from Edinburgh and Glasgow to CDG, and you can fly Air France from Aberdeen, Edinburgh and Glasgow. You will be much cheaper booking online than buying a ticket at Charles de Gaulle Station. You can fly out on Friday 15 March (07:00) and back on Sunday 17 March (21:20) with EasyJet from Edinburgh to Paris Charles de Gaulle. There is not much difference in price with the Air France flights (06:15 out Friday and 22:05 back Sunday). There's no suitable EasyJet flight from Glasgow to CDG on Friday 15 March but there is an evening flight back to Glasgow on Sunday 17 March (21:15). Air France don't have direct flights from Glasgow to Paris. You should be able to book Eurostar trains online from Friday 21 December but you may need to wait till the following week to book through trains from Scotland. You may be able to book separately for Scotland-London tickets on the Virgin Trains East Coast website from Friday 7 October, when they are likely to be at their cheapest. Once again we have entered two teams for the Jacques Lévy Tournament: Scottish Thistles Blue, captained by Peter Burns and Scottish Thistles White, captained by Ian McCreath. As suggested by the names, the Blue team will normally play in blue shirts and the White team in white shirts, but everyone should bring both blue and white shirts. Catherine Downie, Sue Klein, Eileen Pearce and Jackie Parker will be there. There will be a visit to the Palais Beaux-Arts in Lille on Saturday 16 March. 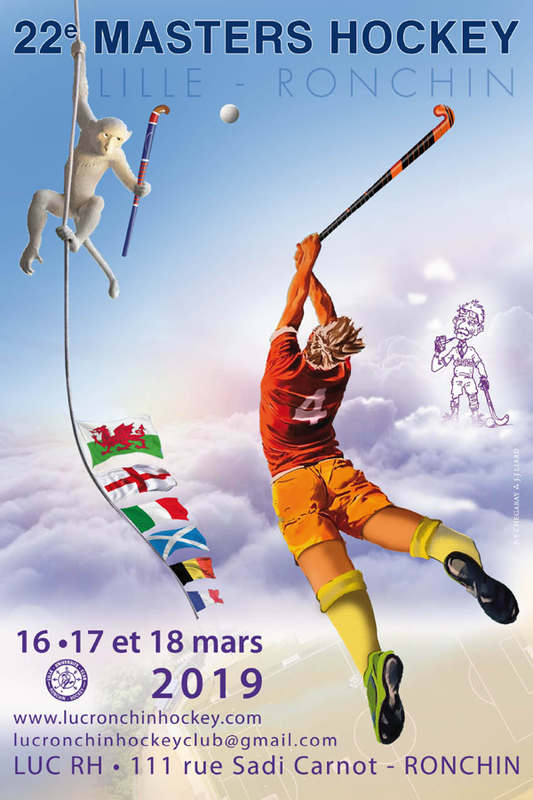 Eight teams have entered the tournament: Alliance, England LX, France A, France B, France C, Scottish Thistles Blue, Scottish Thistles White and Welsh Dragon. The competition will be played in two pools on Friday 15 and Saturday morning 16 March, with quarter finals in the afternoon and semi finals and finals on Sunday 17 March. The duration of the matches will be 2 x 15 minutes.